Since Mid of Oct, BJTOTO share price keep consolidate & forming bolinger band squueze. On 30 Nov 2010, MACD bullish crossover been formed & trade at positive region. As today, 3 Dec 2010 bolinger band start break up. From insider action, insider has acquire certain volume since Oct 2010 (almost everday acquire). Untill 3 Dec 2010, no disposed action. So, more or less, we can suspect it will declare dividend on coming quarter announcement. 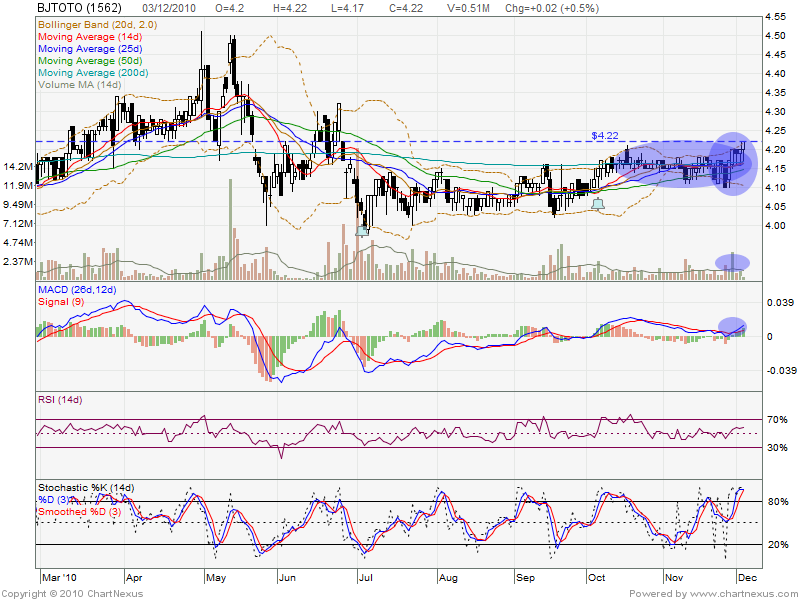 Estimate next week, BJTOTO will announce the quarter report, so will it declare the attractive dividend? 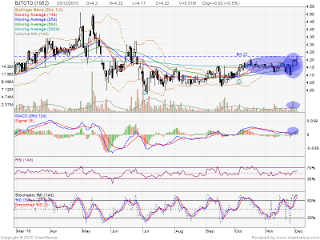 In view of insider action, should be attractive dividend will be declare soon OR any good news to be announce soon.